Started from grass roots drag racing in 1962, Kooks has become a prominent brand among racing and performance street car enthusiast. 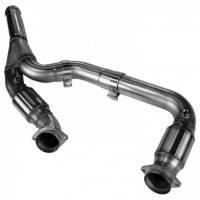 Kooks has a diverse catalog of headers and exhaust systems for a wide range of applications. 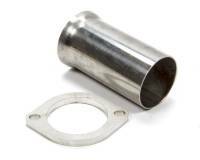 Check out the Recently Listed Header Ball Flange Kits. Kooks Headers and Exhaust offers production applications for many late model domestic automobiles. This means that you can get that ?custom? header for your early or late model application for a fraction of the cost and have it ship right out to your door step. There is no other header company in the country that can offer you a header for your gas engine truck, while still building handmade custom race headers that are used in applications making over 3,000 horsepower. We pride ourselves in being the pioneers in the stainless steel header revolution and have become the innovators in the exhaust industry as a whole. Kooks designs, tests, and manufacturers it first; then other companies follow. Kooks is your one stop for every header or exhaust component need. We are capable of mandrel bent tubing services, welding, forming, notching, burning custom flanges, producing specialty collectors and even have our own line of racing mufflers and tips. We are able to do private label work for your exhaust or tube bending needs as well.